Can't find any info even about 'bundled edition' of these mods (which you mentioned)... Do you have link to it? It's here. I can't guarantee the separate versions will get properly mapped if you do use it then update, but for the sake of finding bugs or just having it, it's there. Any chance of uploading the 1.12 port of Gravisuites to curse? Using the Tri-Addon currently but stuck on build 112 of IC2 due to changes introduced that break the tri-addon. I see those changes and other bugs (Molecular transformer) are fixed in the independent Adv. Solar build but can't switch to the independant builds until gravsuite is available. 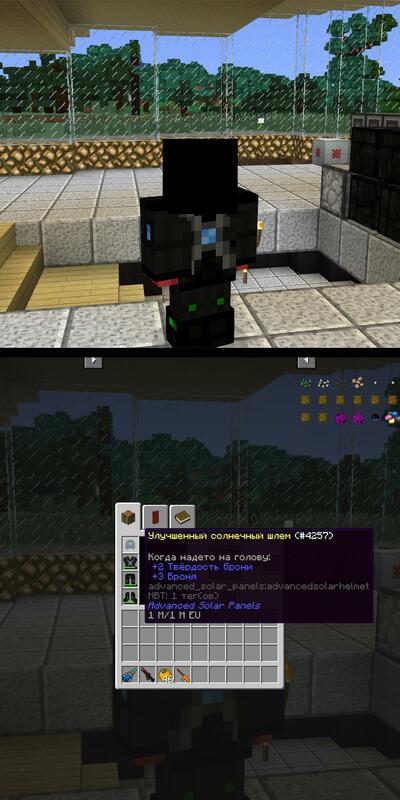 On my 1.12.2 client I am running Advanced Solar Panels-4.2.0, and the Advanced Solar Helmet appears as just a black box. This happens with any valid version of IC2, on both forge 14.23.4.2703 and 14.23.4.2759, regardless of what other mods are installed (including no mods except ic2). No issues with the other two solar helmets though. If a fix for this could be included in a patch that would be great! But his version of addon not update. I full rewrite source code, fix misc bugs, and optimized source code. Now panels work fine and no lags and bugs! So it is. I think it's from a capitalisation issue within the assets, so shouldn't be too hard to fix once I get time. I think I broke your thing. Just posting so you know, JEI is throwing an error with Advanced Solar Panels. I have the error it throws posted over HERE. 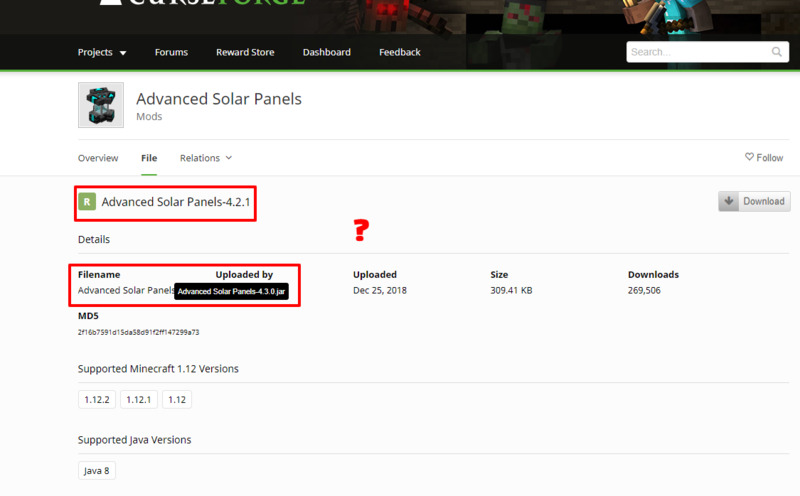 There is more protection against that in the latest update of Advanced Solar Panels, still not entirely sure of the cause though. Most likely config related so I'd keep an eye out in the logs for anything unexpected. I'm keep scrolling through my messages. This one wasn't sarcasm or something. In case it looks like.